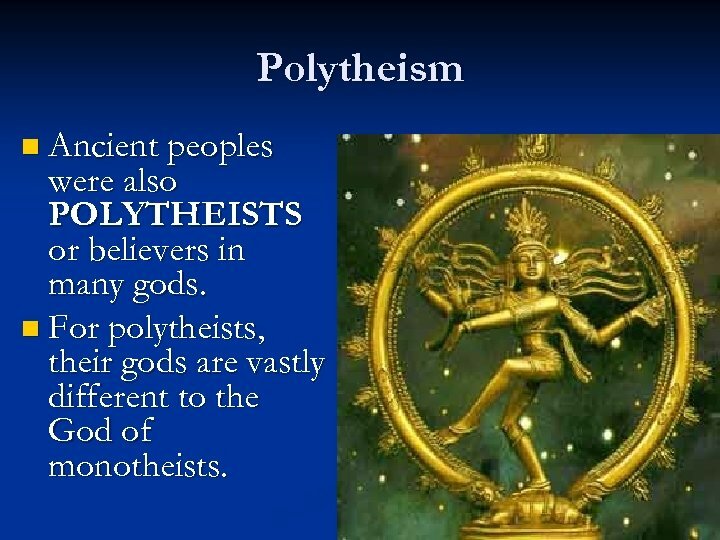 Polytheism n Ancient peoples were also POLYTHEISTS or believers in many gods. 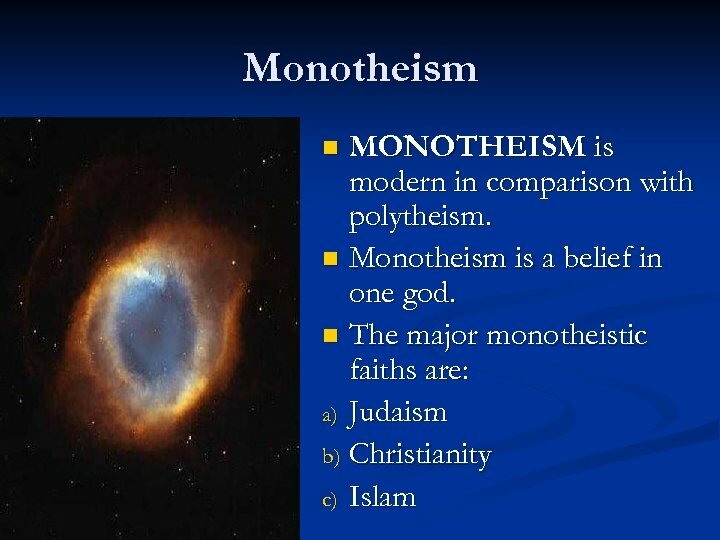 n For polytheists, their gods are vastly different to the God of monotheists. 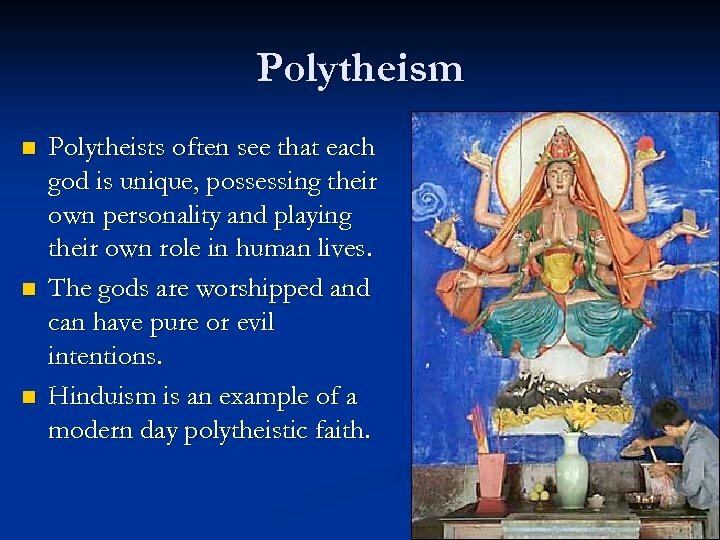 Polytheism n n n Polytheists often see that each god is unique, possessing their own personality and playing their own role in human lives. 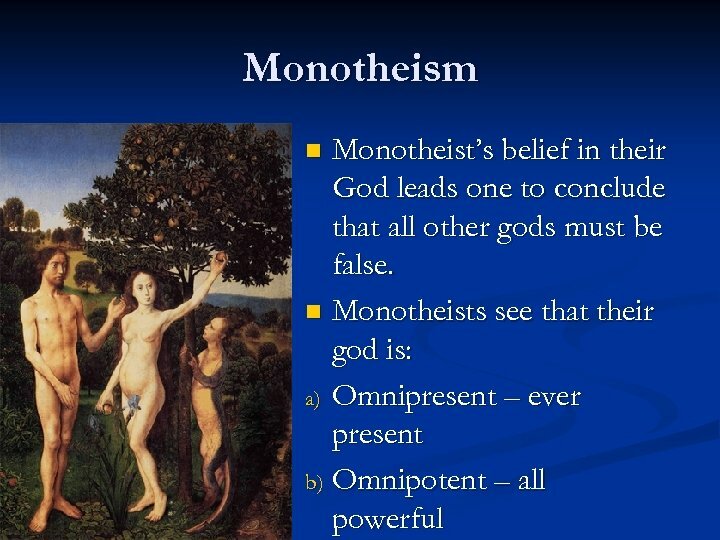 The gods are worshipped and can have pure or evil intentions. 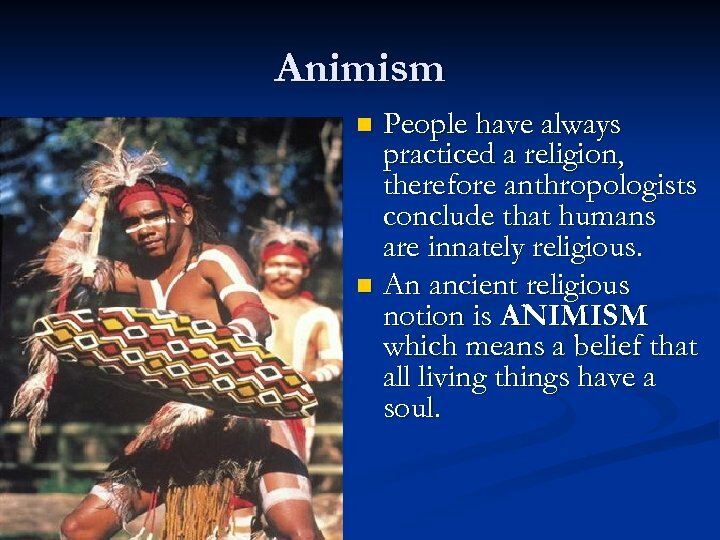 Hinduism is an example of a modern day polytheistic faith. 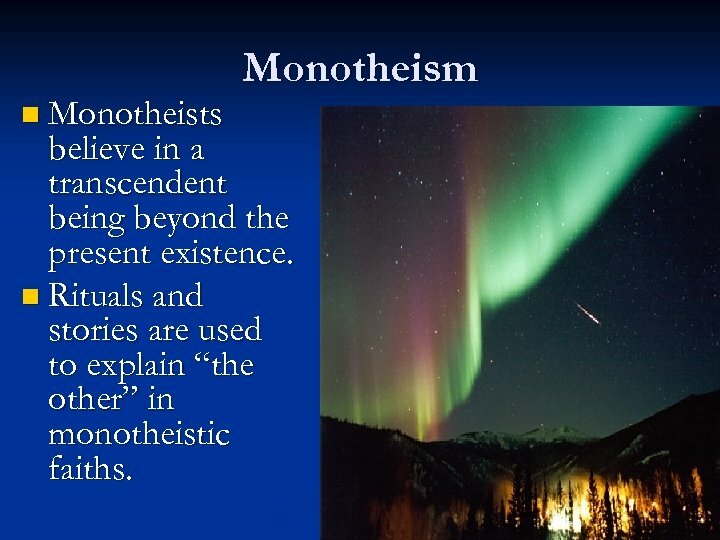 n Monotheists Monotheism believe in a transcendent being beyond the present existence. 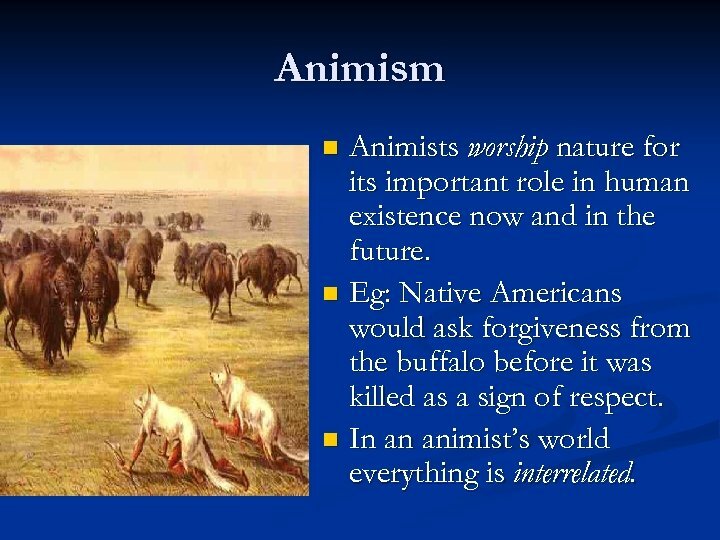 n Rituals and stories are used to explain “the other” in monotheistic faiths. 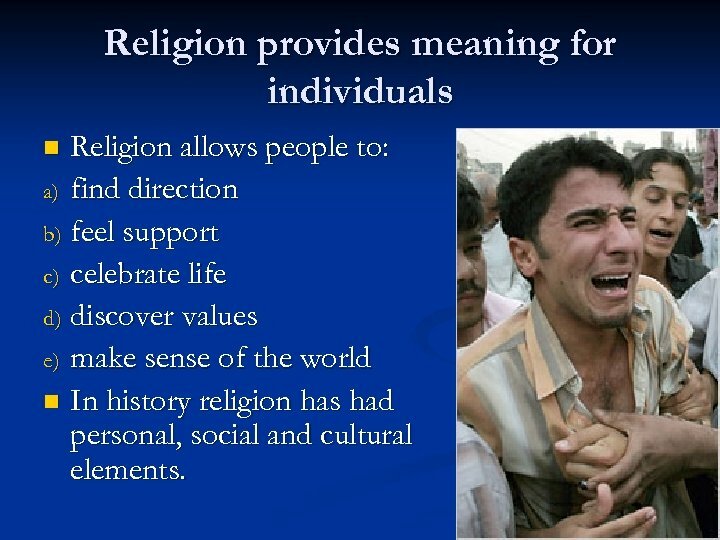 Religion provides meaning for individuals n Religion provides meaning for individuals and allows them to find a place in the world. 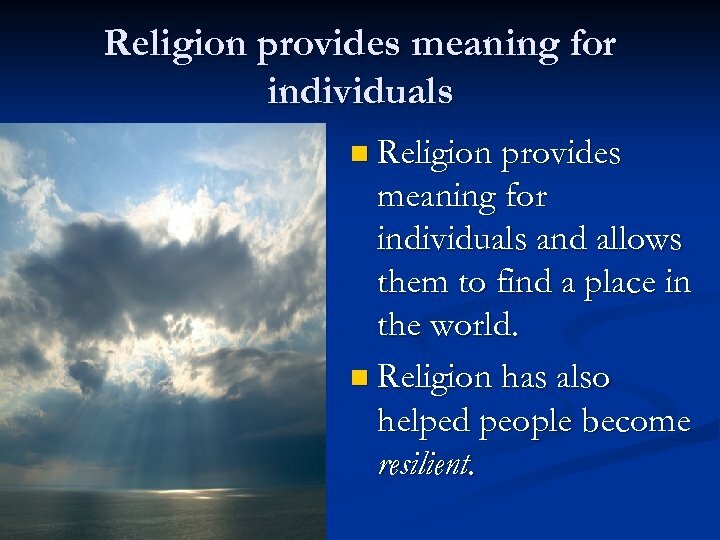 n Religion has also helped people become resilient. 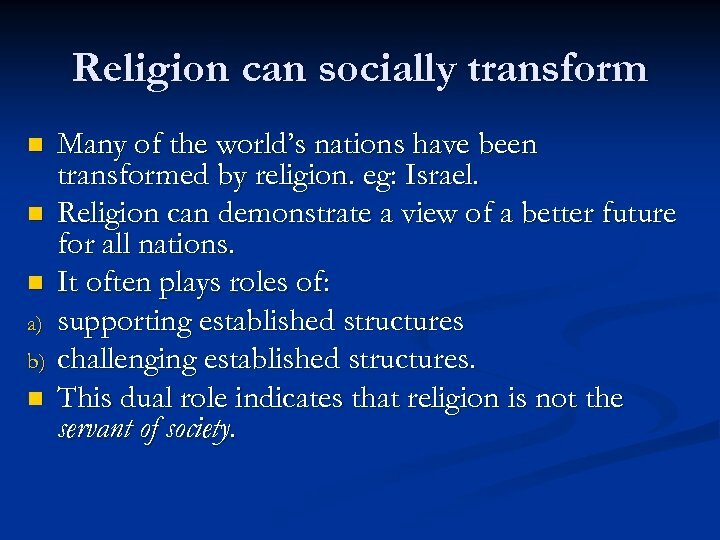 Religion can socially transform n n n a) b) n Many of the world’s nations have been transformed by religion. 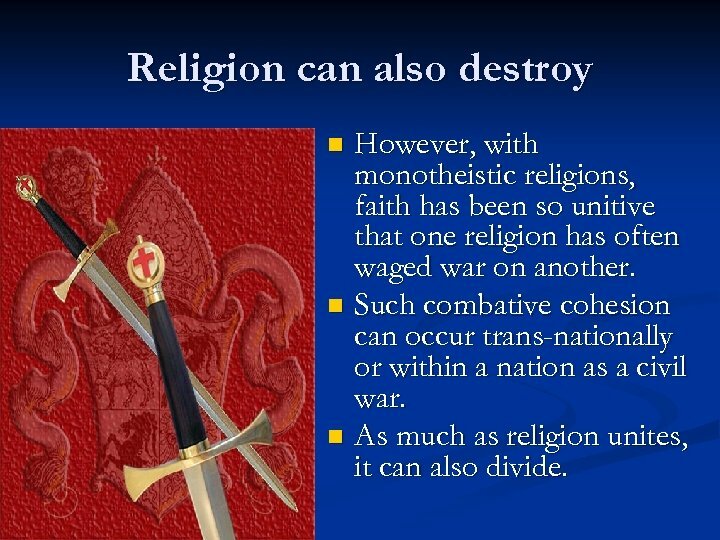 eg: Israel. 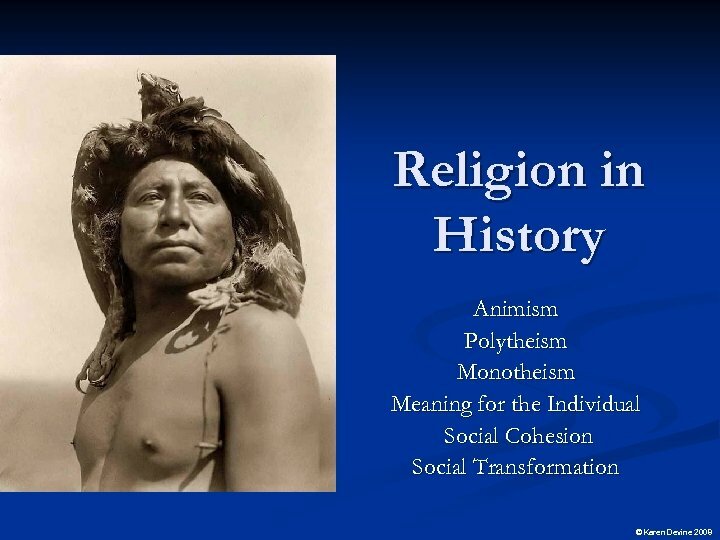 Religion can demonstrate a view of a better future for all nations. 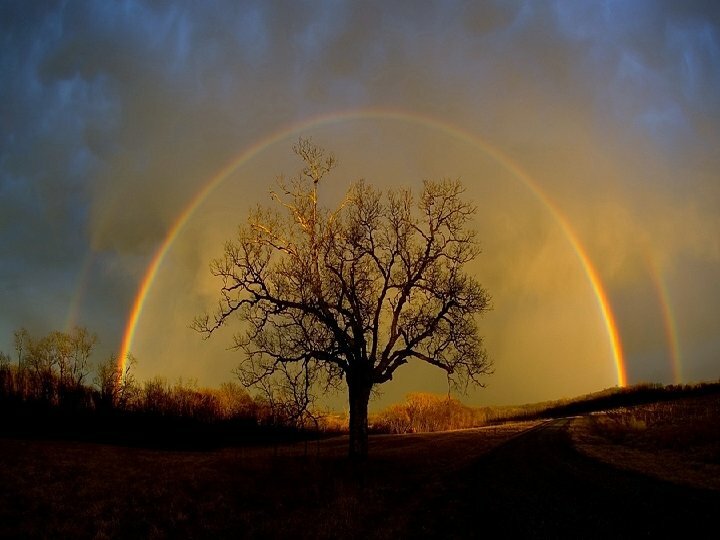 It often plays roles of: supporting established structures challenging established structures. 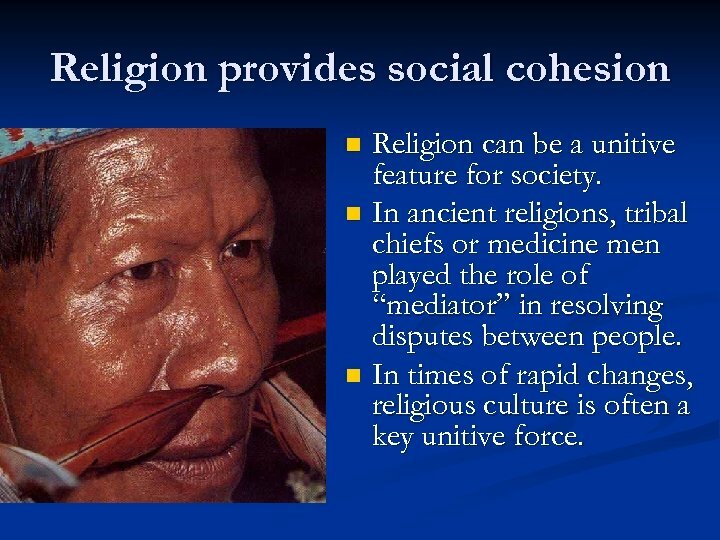 This dual role indicates that religion is not the servant of society.